The prettiest waterfalls in Northern Africa can be found in the Grand Atlas village of Tanaghmeilt, about 150 km north-east of Marrakech. 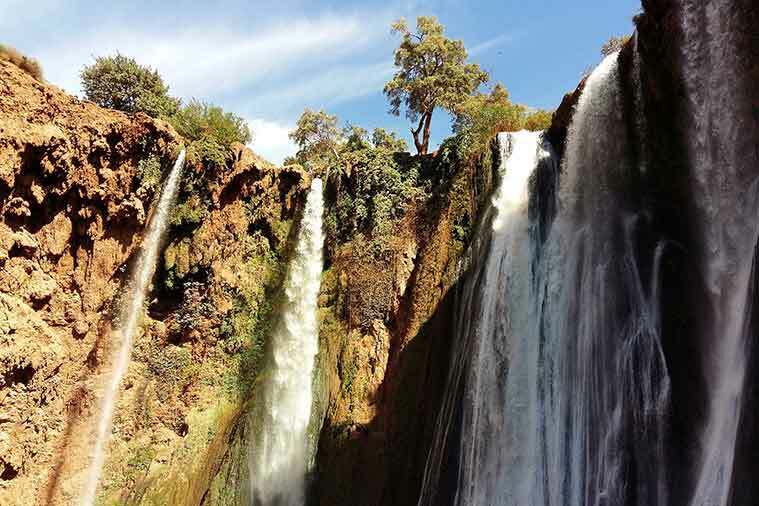 They are called the waterfalls of Ouzoud. 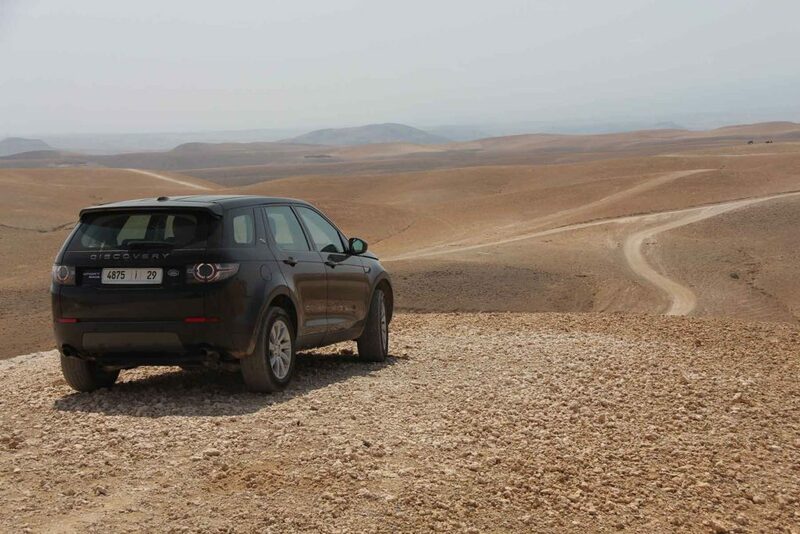 Travelling exclusively by private vehicle with an English and French-speaking guide you’ll pass fields of olive trees on a scenic drive towards the waterfalls in Ouzoud. En route pause at the natural bridge of Imi Nifrid to enjoy Moroccan mint tea and beautiful views. There is lots of opportunity for taking photos, plus a visit to a traditional watermill, before enjoying a tasty Berber lunch near the waterfalls surrounded by lime, pomegranate and oak trees. After lunch you can choose to relax by the pools or stroll along the network of trails leading to the pools below the falls. 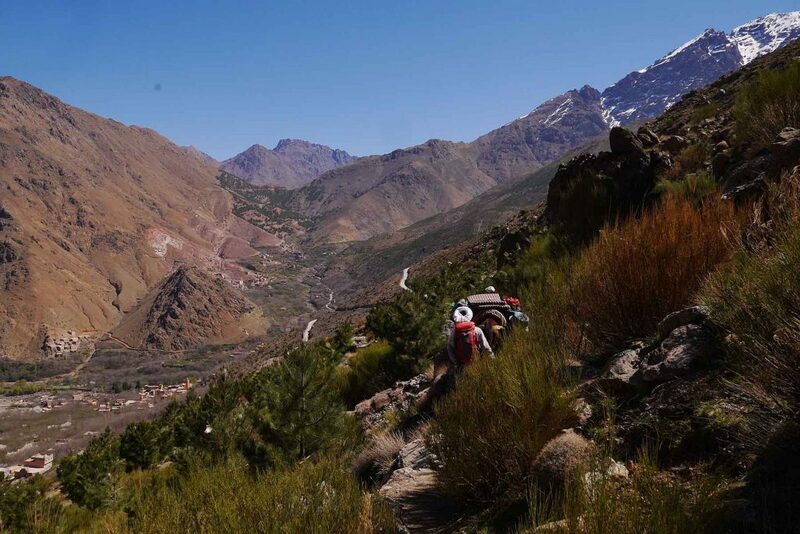 If you are feeling adventurous an exciting walk explores underground passages close to the nearby Berber village. If you’re lucky a beautiful rainbow may appear at the bottom of the falls and the resident Barbary apes may make an appearance to drink from the river.